Horrific Murder of 19-Year Old Girl Leads to Calls for Death Penalty - Breaking Israel News | Latest News. Biblical Perspective. 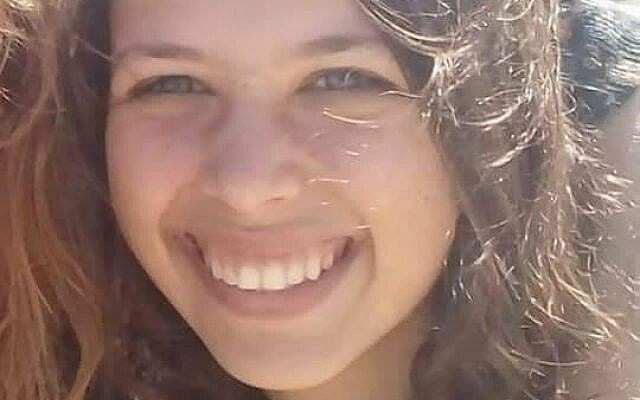 All of Israel is still in shock from the news of the murder of 19-year-old Ori Ansbacher. Reported missing on Thursday, her body was found Thursday evening in the Ein Yael forest just south of Jerusalem. Ansbacher was buried on Friday in Tekoa, her hometown. 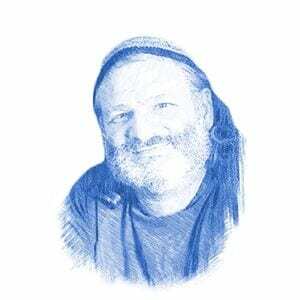 Ansbacher was doing a year of national service at a youth center in Jerusalem. Prayer vigils and rallies were held around Israel on Saturday night when Na’ah Ansbacher, Ori’s mother, addressed the media for the first time from her home in Tekoa, Gush Etzion. “I ask from those who are listening to us and for whom our words are entering their hearts, to do one small thing to add light to the world — one act of kindness and maybe we will preserve Ori’s [soul] in the world and maybe we will have some comfort by adding light to the world,” said Na’ah Ansbacher. ‘Ori’ means “my light” in Hebrew. Forensic and FNA evidence led security forces to arrest a 29-year-old Palestinian in Ramallah late on Friday. The Arab residents clashed with Israeli security faces during the operation to arrest the suspect, throwing stones, pipebombs and Molotov cocktails. The suspect had been illegally residing in Hebron. Police released a statement on Saturday saying that the forensic evidence at the scene tied the suspect to the murder “without question,” according to a Channel 13 report. The Shin Bet, Israeli security service, released a statement saying that he confessed to the murder and provided details of the crime. “The interrogation of the suspect is ongoing and is focused, in particular, on the motives for the murder,” the Shin Bet statement read. The suspect previously served time in Israeli prison for being in the country illegally and for possession of a knife. Ynet news reported that the suspect is affiliated with the Hamas terror group. Public Security Minister Gilad Erdan said Saturday that authorities should treat the case as a terrorist attack. “The Security Council’s silence will not help in this fight against terrorism, and will only allow the waves of hatred to grow unchecked. While this silence continues, the PA maintains its policy of paying salaries for terrorists and educating its youth with incitement, and a 19-year-old girl was brutally murdered in Israel,” Danon said in a statement. “The Security Council has the responsibility and moral duty to make a clear condemnation of this barbaric murder and to act firmly against the culture of terror in the Palestinian Authority, the very culture that undermines stability in the region and destroys innocent lives,” he added. Former Defense Minister Avigdor Liberman decried the murder on Twitter while calling for the death penalty for the murderer. “There is no place on the face of the planet for this kind of person,” Liberman wrote. He also stated that the victim was killed solely because of her Jewish identity. This call for the death penalty was taken up by the Minister of Justice Ayelet Shaked. Capital punishment is legal in Israel. There have been two death sentences in Israeli history and the last execution was carried out in 1962 when Holocaust architect Adolf Eichmann was hanged for genocide and crimes against humanity.